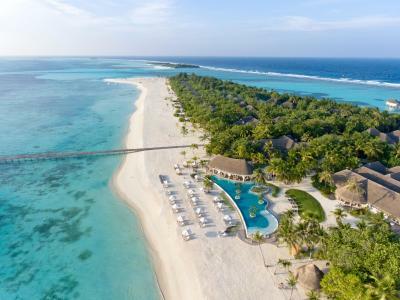 Lock in a great price for Kanuhura Maldives – rated 9.4 by recent guests! A beautiful resort with wonderful beaches and lovely staff! Best holiday ever! 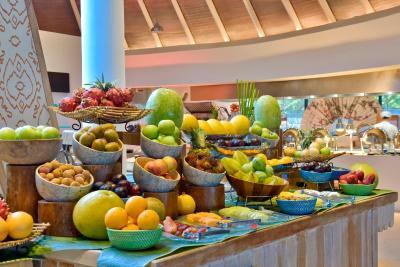 Excellent and mixed food restaurants and buffets. Also the staff are very gentle and cheerful. The room services are very good even the cleanliness. Generally we really appreciated all the pros of this luxury place! The accommodation, the staff, the activities were really great! And the mood on the isle was great! Everyone is so polite and positive! Thank u! Everything was great! 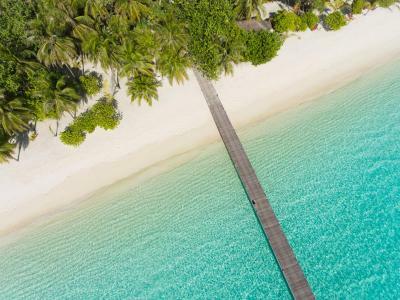 We were visiting Kanuhura Maldives in May 2018. It is considered to be a low season, so there were not so many people there, which is actually an additional advantage. Probably due to this, we also benefited from the Villa upgrade, early check-in and a late check-out. The stuff was very friendly and cooperative - we had a personal manager who took care about all the questions. The hotel itself is really great - it was completely renovated a couple of years ago and everything looks very well maintained. The food quality in the restaurants was excellent as well. We would definitely recommend this place and hope to come back one day! Amazing and friendly staff. Kid friendly resort but also quiet and romantic. Great food and breakfast. 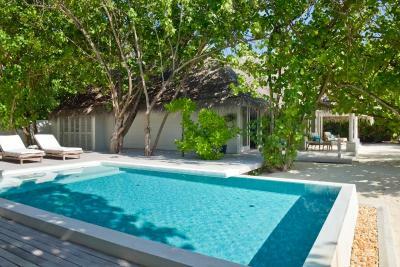 Lovely over water villa and spacious. Friendly staff who are polite and hardworking. Food is good with sufficient choice. 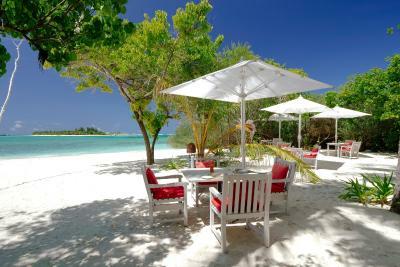 Ala carte prices are reasonable compared to other resorts in the Maldives. 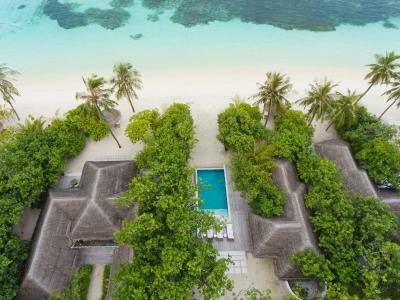 Kanuhura Maldives This rating is a reflection of how the property compares to the industry standard when it comes to price, facilities and services available. It's based on a self-evaluation by the property. Use this rating to help choose your stay! 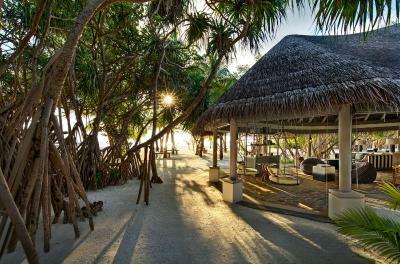 Located on a private island in eastern Lhaviyani Atoll, Kanuhura Maldives offers a luxurious retreat with a beautiful outdoor pool and an on-site water sports center. Free Wi-Fi is available in public areas, as well as in villas on request. 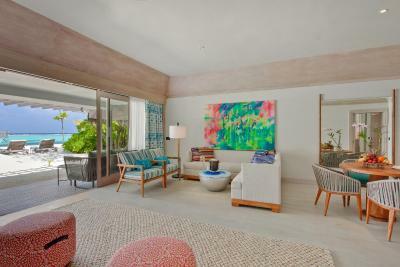 Spacious air-conditioned villas are located on the sandy beachfront or over the crystal blue lagoon. 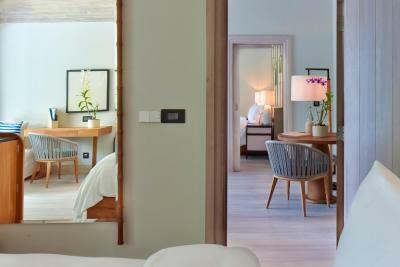 A flat-screen TV, DVD player and iPod dock are included in all villas. 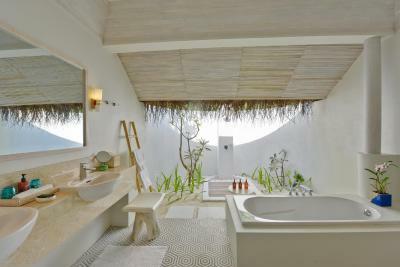 The semi-outdoor bathroom comes with a bathtub and hot-water showers. 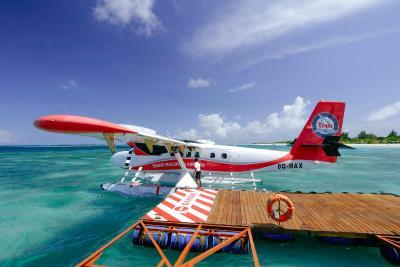 Surrounded by popular dove sites, Kanuhura Maldives is a 40-minute seaplane ride from Male International Airport. Airport transfers will be arranged by the resort, at an extra charge. Guests can soak in the hot tub or enjoy a relaxing massage at the resort's spa. For a good workout, there are 2 flood-lit tennis courts, an air-conditioned squash court and table tennis facilities. The children's club provides water activities and cooking classes. 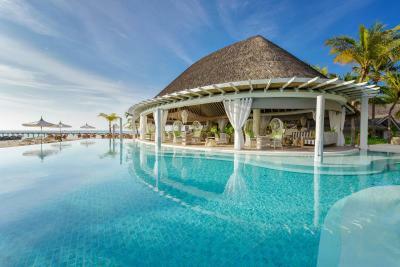 This property also has one of the top-rated locations in Kanuhura! Guests are happier about it compared to other properties in the area. 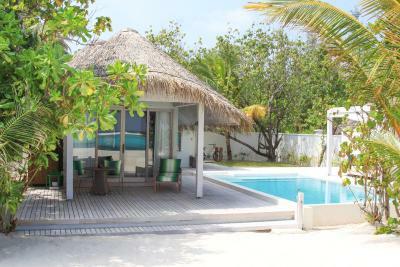 This property is also rated for the best value in Kanuhura! Guests are getting more for their money when compared to other properties in this city. 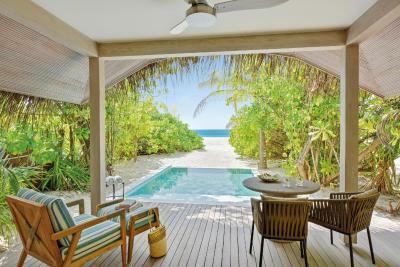 When would you like to stay at Kanuhura Maldives? 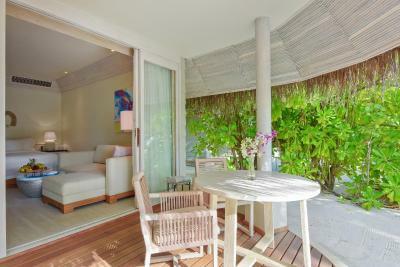 This bungalow has a seating area, dining area and mini-bar. 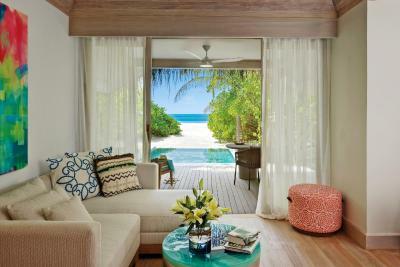 This villa has a DVD player, iPod dock and air conditioning. This double room has a bathrobe, barbecue and seating area. This double room features a bathrobe, barbecue and iPod dock. This double room has a tile/marble floor, mini-bar and DVD player. This villa features a seating area, flat-screen TV and bathrobe. This villa features a tile/marble floor, dining area and barbecue. This double room features a barbecue, mini-bar and dining area. This villa has a DVD player, sofa and barbecue. 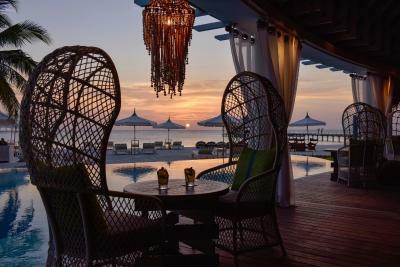 House Rules Kanuhura Maldives takes special requests – add in the next step! Any additional older children or adults are charged USD 330 per night for extra beds. Kanuhura Maldives accepts these cards and reserves the right to temporarily hold an amount prior to arrival. The rates are per person and inclusive of all taxes and service charge. What was a bit annoying for us is the permanent presence of the villa host around us. There are guests who need this type of care, but we didn’t. Not enough water in the bedroom and no water included with meals. 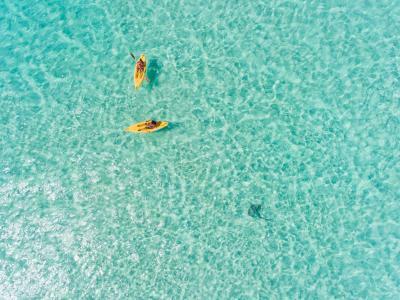 Very limited area to snorkel and swim, no included snorkeling trips. We prefer cotton sheets to linen. Be prepared for the rains in the low season, but generally speaking we were lucky with the weather - the rains were quite short, apart from the last day. 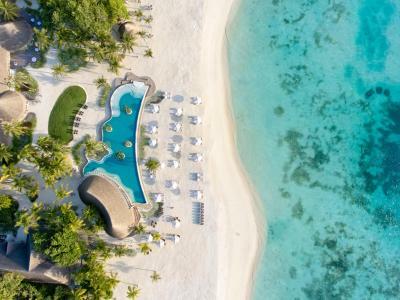 The hotel is accessible only by sea plane, which is quite expensive, but at the same time very good experience and possibility to see the beauty of Maldives from the sky. 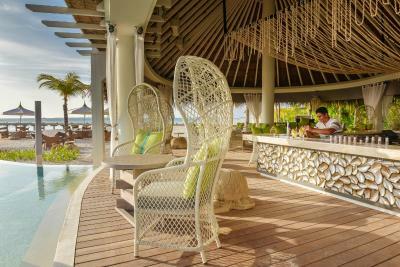 The prices for the alcohol at the hotel are quite high, but it is a part of the business at Maldives. Terrible reef. Hardly any fish to see when snorkeling around the island. Failed to greet at airport, failed to clean room on first day, failed to take note even after 7 days that husband didn't eat pork and making meals with Pork when asked specifically to change all pork to beef. Some staff are highly trained and others are very very poorly trained or incapable of understanding simple requests. Didn’t love the bed linens and the service at the main bar is too slow. There could also be a bit more entertainment (live band some nights, movie night etc). Only one thing - I think tthe Italian restaurant has improvements to do in educating the waiters about wine and food, they were not knowledgeable at all. In this kind of resort it should not happen. Everything!! The island is amazing, beach is wide and beautiful, the staff was so positive, full of smiles, the food was really good and the accommodation was beautiful!